Without further adieu, here’s my picks for the 12 college basketball All-Stars so far this season from the West. In the first half of the college basketball season, Ayton has set himself up for success at the next level of his career. At this moment, it’s nearly consensus that Ayton is the best draft prospect playing in college basketball, eclipsing other top talents like Marvin Bagley, Collin Sexton, Trae Young, and Mo Bamba. Ayton likely sits in a top tier with European sensation Luka Doncic, fighting for the right to be the first man drafted this June. 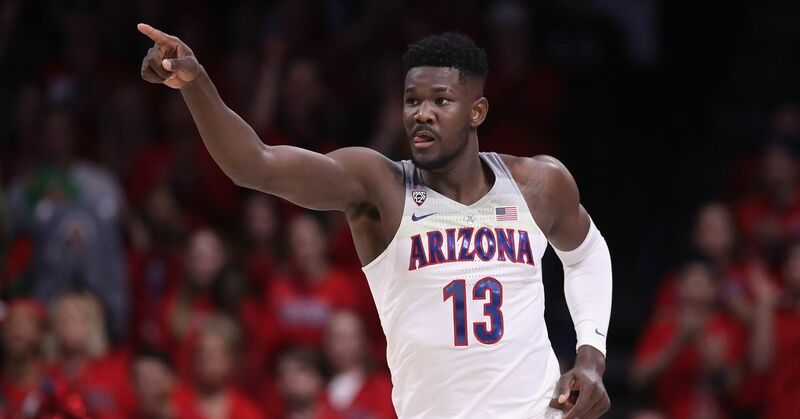 Ayton arrived in Tucson with big expectations. Just looking at him provides a pretty good indication of how he’ll succeed in college and beyond. He is a 7-foot-1 block of muscle with a stretchy wingpsan and monster hands. His physique is reminiscent of a young Dwight Howard or Shaquille O’Neal. Unlike those behemoths, Ayton has a deft touch around the basket and a developing jump shot. He’s only attempted 26 threes this season, sinking 34 percent of those shots. That doesn’t place him among the true unicorns, but compare that percentage to the career marks of Joel Embiid (33 percent), DeMarcus Cousins (34 percent), and Marc Gasol (34 percent) and it’s easy to see how Ayton’s jumper is potent enough to stretch the floor and create offensive opportunities. As an NBA prospect, Ayton’s potential to be “Shaq with a jumper” is terrifying. As a college player, he may begin to understand how dominant he can be in the next two months and destroy everything standing between Arizona and the Final Four. In any case, Jock Landale might be the result of one of these silly hypotheticals. The Australian post-player has one of the most throwback games in the entire basketball world. He camps on the block, relies on footwork and head fakes, and ultimately finishes with little style or pizzaz. Landale isn’t going to jam on your team’s big man. He’s far more likely to leave him in the spin cycle, wondering which one of Landale’s fakes it was that got him out of proper defensive position. The Aussie leads the WCC in scoring and rebounding, with his masterpiece coming in the Gaels’ biggest game this season. Saint Mary’s and Gonzaga live for their two (or three) annual meetings. Holding serve at home is paramount to winning the league crown and proving your worth to the NCAA Tournament selection committee. Landale led the Gaels into The Kennel and stole a win this season, posting 26 points and 12 rebounds that night. That win, along with some his overall brilliance, earns Landale a spot on this list. 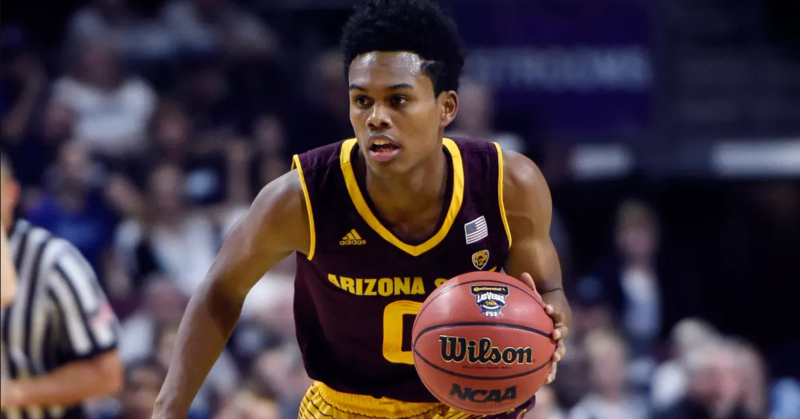 The Sun Devils were the talk of the college hoops world early in the season before skidding to a halt in Pac-12 play. Arizona State is now just 4-5 in conference play after starting the year 12-0. It’s hard to peg Holder’s role in the recent downturn. In four wins in conference, Holder is scoring just 12.5 points per night, yet in five conference losses, the senior guard has averaged 20.2 points. It has appeared that the seasoned veteran is more prepared for a tough league slate than the young, shallow Sun Devil team around him. If he continues to play at an All-Conference level, he can carry Arizona State further than expected. The Sun Devils are much safer with the ball in Holder’s hands than the alternatives at this point. January 10, at Northwestern: 8 points, 2 rebounds in 17 minutes (season low) before fouling out. Murphy’s reliability on the glass and in the paint is nearly second to none. His work as a rebounder has been historically relevant. Per Sports-Reference, Murphy has averaged more rebounds per game in his career than any Big Ten player in the last 25 years. Do we even need to unpack this one? Young leads the nation in scoring and assists. He is not just the best player on a ranked team; he is the heart, soul, and lifeblood of that Oklahoma squad. Sure, he leads the country in turnovers, but with his level of usage, that’s expected. His turnover rate on a per possession basis (19.6) is barely above the national average (18.9). Those misgivings are also vastly overshadowed by Young’s good decisions. The freshman point guard assists on more than half of his teammate’s buckets when he’s on the floor. In Oklahoma’s loss at Alabama this weekend, the Crimson Tide were determined to stifle Trae Young. Collin Sexton seemed to have a personal vendetta against Young, yearning for the host of NBA scouts in the crowd to favor him to Young this June. Meanwhile, Avery Johnson Jr. went full “coach’s son” in his time guarding Young. Johnson inserted himself firmly into Young’s shorts, no matter where Young ventured. On some Oklahoma possessions, the Sooners basically played 4-on-4 with Young hovering near halfcourt and Johnson defensively glued to him. That’s not the last Young will see of that treatment, plus a dozen other junk and joke defensive schemes. The lanky Texas center is a legitimate physical marvel. His arms are ungodly long. Giving Shaka Smart, one of America’s premier defensive minds, a toy like Bamba was damn near unfair. Smart’s “Havoc” pressure defense is even more effective when every perimeter player can play with reckless abandon, knowing full well that there is a legitimate comic book hero waiting to swat any shot attempted near the rim. Here’s where things get scary: Bamba has made 16 of his last 17 free throws and sank his last three attempts from beyond the arc. Giving a motorized 7-foot rubber man a jump shot? Run for the hills. It’s like the moment in a Jurassic Park movie when the T-Rex figures out how to disable the electric fence on his cage. Mo Bamba is coming for you. Did I push my chips all-in a little too hard and too soon on my support of Texas Tech? Sure I did. The Red Raiders have lost three times since I pegged them to finally end Kansas’ streak as kings of the Big XII conference. Even with a team-wide swoon in recent weeks, Keenan Evans continues to fly under the radar. In Saturday’s win over South Carolina, Evans hoisted his team onto his back and carried them to a victory. Evans scored 31 of Tech’s 70 points, including a perfect 13 for 13 from the free throw line. Texas Tech is going to be a top 5 defensive team in the nation all season long, but they’ll be a real factor when Evans drives their offensive production. If you only sought out hot takes about Kansas, including those published on this very website, you’d think the Jayhawks were going through the season from hell. You’d think Graham would be failing in his first season as the primary ball-handler and Big Man on Campus. Back in reality, Kansas is merely 17-4, sitting in first place in the nation’s toughest conference, and Graham is a possible All-American. While shouldering all ball-handling duties, playing 91 percent of possible minutes (top 25 nationally), and facing a top-15 schedule, Graham has scored 17.3 points per game, tossed 7.3 assists, and shot over 41 percent outside the arc. 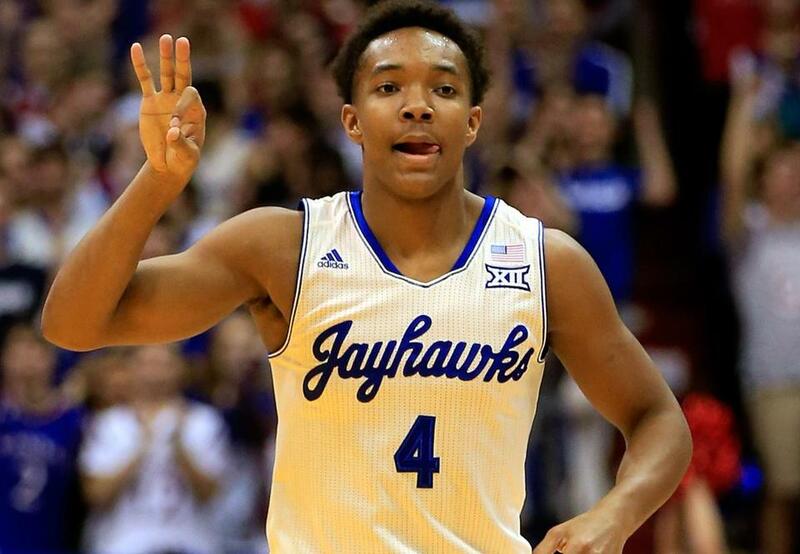 This Kansas team has problems, though I wouldn’t bet against Graham in March. There may not be a tougher match-up in the country than Barford. He’s listed at 6-foot-3 and a generous 202 pounds, built like a filing cabinet with legs. Barford can bully his way into the paint against any smaller guard who tries to check him. Try a bigger guy on him or give him a foot of space? He shoots 44 percent from outside the arc. Barford is poised to mosey into the NCAA Tournament and punish any team with limited options to cover him. Only one team deserves a second spot on the roster, since Arizona’s top two players are both worthy of praise. Trier is a reliable 20-point per game scorer and the perfect yin to Deandre Ayton’s yang. He’s an apt ball-handler on the pick-and-roll, a lockdown defender, and has a killer instinct with the ball in his hands. I’m hard-pressed to think of a guard with a more complete game in college basketball. Trier shoots well, creates on penetration, and guards his position at an elite level. 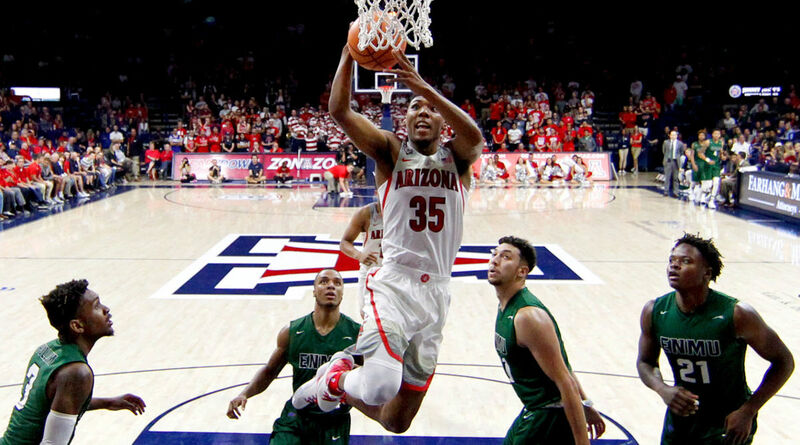 He won’t flash off the tape with a mind-blowing dunk or highlight play, though by the end of every Arizona game, you’ll have felt Allonzo Trier’s presence. The more potent half of the Wolfpack’s wonder twins backcourt, Martin has been sensational this season. The NC State transfer hits 46 percent of his threes and posts 19.6 points per contest. Prepare yourself to hear Nevada praised ad nauseum as the mid-major Cinderella darling pick this March. In fact, if they catch the right seed, they may enter the first round as the “lower seed that’s listed as a favorite in Vegas.” Caleb Martin is a huge part of that. Hell yes, back-to-back players from the Mountain West Conference. Both are wildly deserving of some recognition, East Coast and power conference biases be damned. How can we ignore a guy dropping 20 and 8 on a nightly basis? Hutchinson also posted one of college basketball’s best box score lines this season when he registered 44 points on 7 for 10 three-point shooting versus San Diego State. He’ll gladly shoot over your defense, or attack weak spots in the lane. Hutchinson shot a combined 38 (!!) free throws on a two-game road trip in conference play this season. The Broncos got their first crack at mighty Nevada, on the road this month. Hutchinson finished with 27 points in 36 minutes of play, but missed all five triples he attempted and Nevada held serve with a home win. Keep an eye out for the next match-up of the MWC’s best, at Boise State on Valentine’s Day. (“No, honey. We can’t go out tonight. We gotta watch Nevada play Boise State”). I’ve been a Daum disciple for the last several years, trying my best to publicize the most naturally devastating scorer in college basketball. We’re talking about a 6-f0ot-9, 245 pound meat box who shoots 42 percent from long range and scored 25 points per game last season. This year, his numbers have dipped a tick, to 22.7 points per night, but he’s increased production elsewhere, adding 9.3 rebounds per game. Last season, Daum attracted attention with games of 51 and 42 points. This season he has yet to post a true eye-popper, though he’s hit 34 points in five games already this season. He sank 7 of 12 threes at Wichita State and dropped 37 points at rival North Dakota State. Circle two upcoming games as Daum’s chance for a run at 50-plus: this Tuesday versus defensive mess Nebraska-Omaha and the regular season finale against the fast tempo of Fort Wayne. If the Jackrabbits make the tournament again, make time for Daum’s chance to cement himself into the “One Shining Moment” montage.